Job description: Belfrics Group is a New-age fintech firm specialized in Blockchain technology services. Head Quartered in Malaysia and winner of multiple Fintech awards, Belfrics is present in over 10 countries spanning Asia, Africa, Middle East and Europe. BelfricsBT (www.belfricsbt.com), the Blockchain development arm of the company, provides solutions and services to governments and enterprises in several regions. 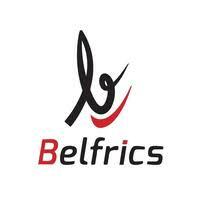 Belfrics (www.befrics.com) also is one of the largest chain of crypto currency exchange that facilitates buying and selling of crypto currencies. Belfrics Academy (www.belfricsacademy.com), the newest venture of the group, gives specialized training in Blockchain technology. You will be part of the dynamic fintech sales and business development team. 1. Capable of driving the branch to profitablity and good governance. 2. Execellent interpersonal and managerial skills. 3. Prior experience in managing team at national level or regional level. 5. Conduct research to identify new markets and customer needs. 7. ensuring smooth functioning of the branch and 100% compliance with local regulators. 9. Maintain excellent relationship with clients and provide training and consultancy as and when required. 12. Keep records of sales, revenue, invoices etc. 14. Ensuring customer success by ensuring all the clients queries are dealt with promptly and efficiently. Wherever required escalated appropriately. 20. Ensure the country operation is in line with the HQ directives and requirements. 21. Establish premier branding for the company across the country. 22. Developing quotes and proposals. 23. Developing sales goals and ensuring that they are met the team members. 1. Minimum 4 years of sales/operations experience in financial markets in Director/Managerial capacity. 2. Good command over English and excellent interpersonal skills. 4. Should have managed a good number of sales team members. 2. Knowledge about blockchain domain and cryptocurrencies.